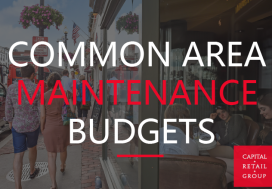 Common Area Maintenance (“CAM”) Expenses (also known as “Operating Expenses”): An Operating Expense or CAM provision requires the tenant to pay its pro rata share of the operating expenses incurred by the landlord in the operation and maintenance of the building or shopping center. 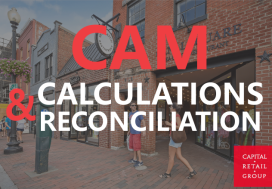 CAM is commonly expressed as a cost per square foot, and is calculated on a pro rata basis. The provision should only pass through to the tenant legitimate expenses relating to the operation and maintenance of the common areas. This usually covers non-capital items such as parking lot repairs, exterior repairs and cleaning, shared interior repairs and cleaning, increases to landlord’s insurance cost that exceed the Base Years’ insurance and property management fees. Before signing a lease, it is recommended tenants estimate their costs associated with CAM and ask for the history of the building’s CAM charges for at least the two prior years. This will enable tenants to compare the amount of operating expenses and their annual increases to other comparable buildings to determine whether they are reasonable, and to estimate what the charges might be in future years. Attention must be given to the definition of the base year in any CAM clause which requires the tenant to pay its prorata share of expenses incurred over a base year. Some tenants can negotiate to ensure they do not pay for expenses during the base year and that the base year variable expenses are subject to a “gross up” to reflect the full amount of operating expenses that would have been incurred by the building had it been 100% occupied. There should never never be any provision making the landlord’s determination of CAM charges final unless the tenant can reserve the right to audit the landlord’s expenses and to review the landlord’s calculations. 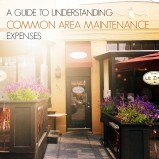 Common Area Maintenance (CAM) shall include but not be limited to maintenance, repair, replacement and care of all lighting, plumbing, roofs, parking surfaces, landscaped areas, signs, snow removal, non-structural repair and maintenance of the exterior of the Building, costs of equipment purchased and used for such purposes, cleaning and cleaning supplies for the common areas, insurance premiums for insurance required by this Lease, management fee up to five percent (5%) of gross collected rents, and wages and fringe benefits of personnel up to the level of property manager or equivalent employed for such work. Additionally, during the Term of this Lease, any extension and/or renewal of this Lease, CAM expenses shall include the annual cost or portion allocable to the Building of any capital improvements made to the Building by Landlord which result in a reduction of expenses or required under any governmental law or regulation that was not applicable at the time it was constructed. Landlord shall amortize such costs over the useful life and at a reasonable rate of interest. (ix) the portion of CAM which relate to more than one building or project to the extent that cost should be allocated to a building or project which is not occupied by Tenant, including, for example, employee costs, office costs, parking lot maintenance and repairs. (xxiii) any and all costs of Landlord’s office and office operation for the Project for office space in excess of 500 square feet of rentable area, and all supplies and materials used in connection therewith. Click HERE for a “Top 10” list created by Cox Castle Nicholson identifying some of the key points related to Common Area and CAM Expense provisions in retail leasing.